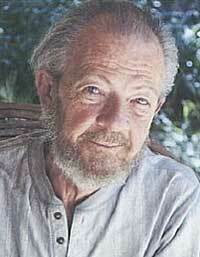 Dr. David Hawkins is a healing psychiatrist who had been working on human behavior. His prime focus is the human dilemmas, which an individual face in his everyday life; the most common dilemma being not able to decide the truthfulness of a situation. 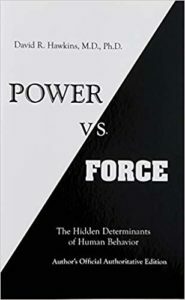 In his book Power vs Force, he uses various theoretical concepts of particle physics to explain the human behaviors by correlating both of them. In his long and profound career, Dr. David Hawkins worked diligently to find out the correlation between human behavior and the concepts of non-linear dynamics as well as chaos theory. No wonder such a correlation seems intimidating and quite obviously, the results too, are surprising. The book talks all about the relationship between the human behaviors and all those theories of particle physics. The book is a fascinating work comprising of the details of each concept being used as well as the behavior of human beings in instantly determining the truth and falsehood of a situation. An individual goes through a number ofbehavioral changes while trying to ascertain a situation. Similarly, the theoretical concepts of particle physics and chaos theory relate to the properties, interactions, and relationships of various subatomic particles of matter. Finally, correlating these two is the main theme of his work, which is highlighted in the book. The findings are bound to intrigue the readers, and therefore, it makes for a good read filled with knowledge and enthusiasm. Dr. David Hawkins jots down the details of the steps how a person will resolve the dilemmas of judging a particular situation. His studies support the human behaviors with respect to the theories of particle physics, no-linear concepts, etc. The book is an outcome of his experiences and research works as it is an insight into the mindset of individuals.